At this time we’re entering the great spiritual arena of the blessed Great Lent. Holy and Great Lent is a time of compunction, for repentance, for tears, for a change in ourselves, for a new stage in the spiritual life. Like an affectionate mother caring for her children, us Christians, the Church has designated this time of Lent as dedicated to the struggle, in order to help its children fight harder, to purify themselves, draw closer to God and to counted worthy of celebrating the great day of the radiant Resurrection. 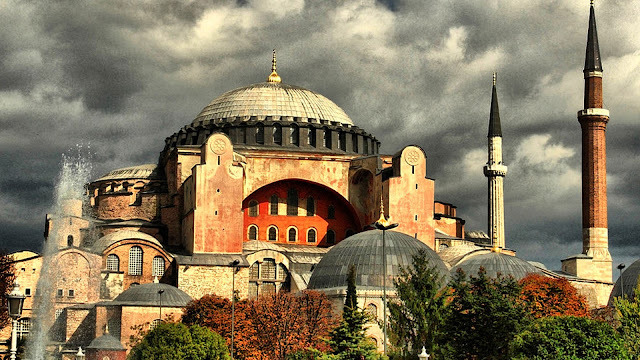 Christians, especially monks, have always paid particular attention to this spiritual arena and have thought it especially sacred, because it is a period which envisages both spiritual and bodily struggles. There’s the struggle of fasting, the struggle of vigils, the struggle of purification and the struggle to fulfill one’s spiritual duties which are many more than at other times of the year. There’s a spiritual “defragmentation” and people pay greater attention to the voice of their conscience in order to correct what they’ve maybe neglected and to improve spiritually. The Church assists us but with penitential hymns and services, as well as with teachings, to oil us up for the fight for the purification of our souls. We have the penitential evening Divine Liturgies of the Presanctified Gifts. The Presanctified is extremely beneficial. Its Cherubic Hymn is full of spirituality, contemplation, angelic presence. That’s why we should come to these liturgies during Great Lent with even greater compunction. We who consume the Body and Blood of Christ must be so pure and clean, so straight in body and soul for divine grace to have its effect. For this reason, we must lead very careful lives. Both n our cells and in church we must wet our face with tears so as to wash our souls and be worthy to take communion. Of course, the devil often makes us wanting in compunction, me more than anyone. Which means we can’t have tears and we often have bad thoughts. Bad thoughts and the sinful images that accompany them must be rejected as soon as they make their appearance. And when we have wicked thoughts or our soul is cold towards one of the brethren, let’s not approach the God of lover, Who is so pure and holy. Lord and Master of my life, do not give me the spirit of sloth, inquisitiveness, lust for power or idle talk, but give rather the spirit of sobriety, humility, patience and love to me, your servant. 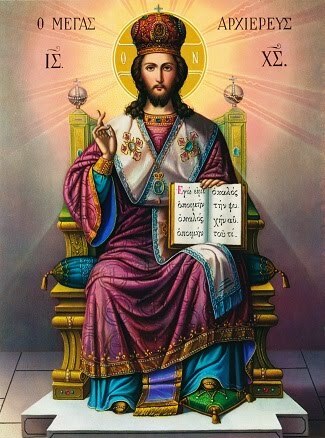 Indeed, Lord King, grant me to see my own errors and not to judge my brother, for you are blessed to the ages of ages. Amen. With these words, the saint wishes to make us understand very clearly, that, apart from other virtues we need to take special care with the last case, that of self-censure and of criticism of our bothers and that without love for our fellow human beings there’s no chance of making even the slightest progress towards our spiritual purification. If we don’t pay attention to our thoughts, our words and our heart, there’s no benefit in fasting. Fasting is of benefit when it combines with love for our neighbour and when we don’t criticize others. When we don’t criticize our fellows and instead criticize ourselves, then we’re marked by love for others and love for our soul, concern for purification and the fulfillment of the great commandment, that of love of God and one’s neighbour. Love for God and for our fellows are the two great virtues which support the whole of the spiritual structure because if they are absent, they others cannot take form. “God is love and those who live in God in love have God living in them, too” (I. Jn. 4, 16). Another issue which demands that we push ourselves as hard as possible is prayer We should pray in the name of Christ, without neglecting any opportunity and without any waste of time. In the personal vigil in our cell, we should push ourselves, shouldn’t let sleep overcome us, nor neglect nor idleness; we should engage willingly I spiritual matters. As soon as we wake up, prayer should take first place then our rule, our prayer-rope, study and the contemplation of God. We should go to church with great readiness and so get the best results from our presence in the arena. Apart from this, fasting together with bodily exertion helps as regards the forgiveness of sins. “Behold my humility and my efforts and forgive all my sins”. When we labour with the fast, with kneeling, with prayers, with an effort from our heart and mind, this Godly exertion is holy and is richly rewarded by God, because it make people worthy of the crown of glory and honour. The demons fear the fast greatly, because it lays them low. “This kind [of demon] will not depart other than with prayer and fasting”, said the Lord (Math. 17, 21). This is why the holy fathers always began any Godly task with a fast. They considered a fast to be very powerful and that the Holy Spirit does nor overshadow people when they’re replete with food and their stomachs are full. And any Christian who desires purification has to start from this foundation which is fasting, prayer and vigilance. When these three are combined, then people have acquired great stature. In olden times, the fathers had a holy custom. On the eve of Lent, they would leave the monasteries and go deeper into the desert, where they lived in great asceticism until Lazarus Saturday, when they returned in order to celebrate Palm Sunday all together. Some would take a few of the basic essentials as far as food was concerned, others would eat only green plants, in order to struggle more fiercely in the desert. Thereafter they would spend all the days on Great Week together in church, existing on a piece of fried rusk and a few nuts a day. 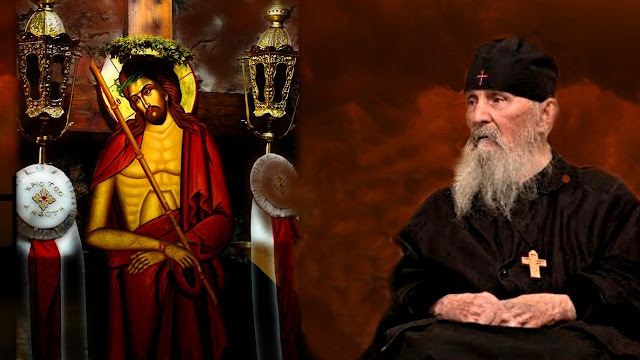 We were given the blessing and the grace of knowing ascetic people who spent not only Great Lent in fasting and spiritual struggle. 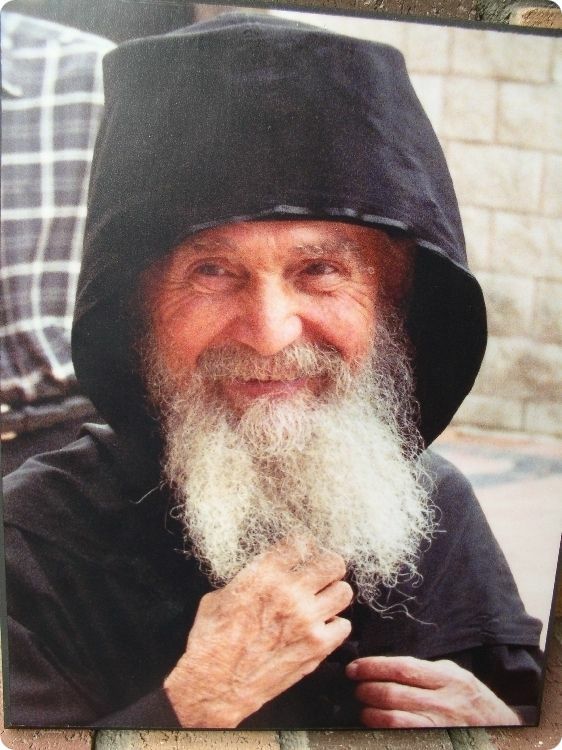 Our departed elder, Elder Iosif the Cave-Dweller (he used to live in caves, which is where I met him), kept a very strict fast during Great Lent. And, of course, he imposed it on us, too. From Monday to Friday, five days of the week there was no food, except a handful of flour, from which we made a batter with just water. That was it. A little plate every twenty-four hours. And, at the same time, hard work lifting loads on our back during the day and the whole night hundreds of prostrations and hours of prayer. And all of this in order to purify the inner person, to make it cleaner, more honourable in the eyes of God, in order to acquire boldness before God and be able to pray for the whole world. Because the world, people everywhere, needs the prayers of the saints, particularly those of ascetics. Saint Anthony the Great supported the whole world with his prayers. Of course, we must keep the fast only as far as we’re able, with discretion, because we’re not all the same. “Unless the good be done well, it is not good”. In other words, unless good is done in a good way, method, time and amount, but instead is done without discretion, then it’ll do more harm than good. Fasting is certainly extremely necessary, it is good, but it is a means rather than an end The means has an end and that is humility. This is why we need to arrange everything in accordance with the discretion of a spiritual father, someone illumined by the Holy Spirit. Your spiritual father will tell you how much to fast, how often to receive communion, where to strike at the enemy, what you should do here and what there. And then, through the discretion of your spiritual father, you can put your house in order. We shouldn’t do more than is appropriate, we need moderation in all things, because immoderation cancels out any benefit. So fasting is holy, but it is a means. We should adjust it according to what our spiritual father says and what out psychosomatic powers allow. As long as there’s good will. Basil the Great says there’s as much difference in resilience between people as there is between iron and grass. 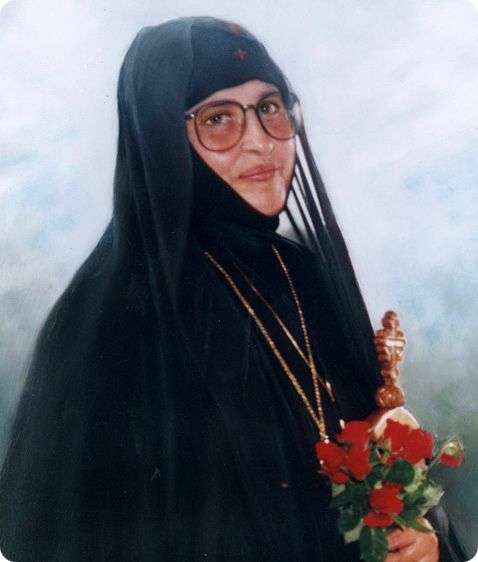 Saint Synklitiki fell ill towards the end of her life with a throat disease. Her blessed throat, which had always spoken the word of God, festered on the inside. Her mouth had saved countless people. The devil had asked permission to test her and God had granted it. 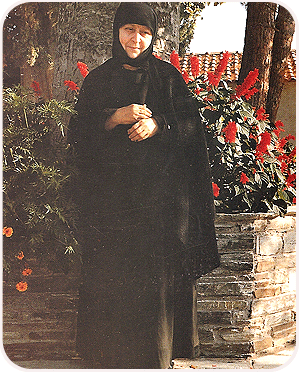 The stench from her rotting flesh became so bad that the nuns had the greatest difficulty in seeing to her needs. They used the most pungent perfumes to try and bring her a little respite in her sickness. When her mouth had been healthy, it had spoken and brought benefit to many, but when she fell ill, she was able to preach even more strongly. How could a silent and rotting mouth preach? She noiselessly declared her great patience and endurance in God’s trial. She made a titanic effort to deal with the devil of impatience, of complaint, of the labour and toil of sickness. What did she need with fasting? This is why illness is regarded as involuntary asceticism. One person has cancer, another diabetes, somebody else has lots of troublesome health problems. How will these people purify themselves? How will they see God’s light? Through patience and giving thanks to Him. These make up for the fast which, because of their illness, they’re unable to keep, and, in fact, often struggle ten times harder than if they were fasting. During this period, we really have to struggle to purify ourselves. From the ascetic tradition we have hermits who spent the whole of their lives in the desert, with labours, toil, fasts, tears, sleeping on the ground and deprivation of every other kind of pleasure. And all this effort, together with the struggle of the soul against all kinds of thoughts concerning the rebellions of the flesh, engendered sanctity. So every Christian who’s a monk and wants to experience purification has the right to labour and not be deprived of his reward. 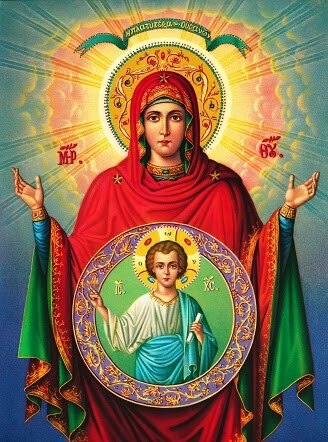 Purity brings great boldness towards God, because He Himself is pure, the Mother of God is most pure and Saint John the Theologian lived his life as a virgin, as did so many other saints. The whole beauty of the Church is founded on purity and spotlessness. When our heart is pure and beautiful it will exude fragrance and loveliness. But if people have filth in their hearts, that’s what they’ll expel. Let’s struggle to cleanse the inside of our glass, our heart, so that we’ll be pure and pleasing in God’s eyes. “God, who have You placed me with. With whom do I share the same measure of virtue?”. “Down in Alexandria there’s a poor man, a cobbler, down in a basement. You have the same amount of virtue as he does”. “But I’ve been a hermit in the desert from childhood and I’m equal in virtue with a lay person, a married man?”. “Yes, you’re equal to him”. “What do you do here, friend?”. “What should I do, father? I’m a sinner, the worst person in the world”. “What’s the virtue that you’re working on acquiring?”. “Virtue, me? I live ‘in the world’ and am completely mixed up. Now you, you’ve got virtues”. “God showed me, so you can’t tell me lies. I prayed and He told me that we share the same measure of virtue. There must be something about you”. “Sorry, Father. If what I do can be considered something, I’ll tell you. I married, and from the moment I put on the crown, I said to my wife: ‘If you love me, we’ll live apart, like brother and sister and work for the sanctification of our souls. Do you agree?’. ‘I agree’. And since then we’ve lived in purity and virginity”. 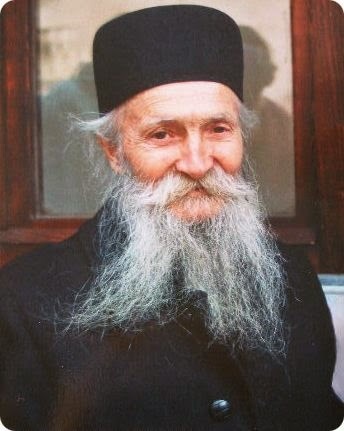 In the desert, Blessed Paphnuti tried to cleanse himself through the ascetic life, and restraint, in which he was greatly assisted by the condition of his way of life. The other man lived “in the world”, with a wife, with all the challenges of secular life and, with God’s help had reached the stature of a saint. And his struggle was greater than that of the hermit. Proof that he was great in the eyes of God. “Father, I quarrelled with a priest and I don’t know how he reacted, whether he cursed me or swore at me, but he’s now departed this life and we weren’t reconciled. What do I do now?”. “There’s nothing I can do in this case, but there’s a holy man who I’ll send you to and he’ll help. Go down to Alexandria, to a basement where there’s this cobbler. Tell him I sent you, mention the problem and he’ll help”. “Go in there and look at the choirs on the left and right. You’ll see the priest there”. The man went in, saw the priest in the left choir and received his forgiveness. You see what ascetic effort can achieve? What the soul’s struggle can do? What did that layman do to purify his soul. When he told the girl he’d married that they should live like brother and sister, was that an end to it? No, they fasted and kept vigil together, they made prostrations and read the Gospel. 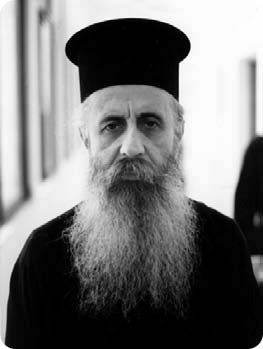 They read Patristic books, went to church, confessed, took communion, chased away evil thoughts and struggled assiduously. And that’s how they became saints “in the world”. So here is proof that even “in the world”, when Christians take on the struggle with good will, the Grace of God does not exclude anyone. But we make excuse for ourselves and say that because we’re “in the world”, we can’t. Desire gets the better of us. What do we need to do? Fight in the body and in the soul. In other words, control our thoughts. Thoughts come, sinful fantasies, images, faces, idols and scenes. We must get rid of them immediately with “Lord Jesus Christ, have mercy upon me”. When the mind is careful not to accept all of that and has the divine weapon, the Name of Christ, then every enemy of our soul is slain, whether it be the devil, sordid fantasies or repulsive thoughts. Then, if we guard our soul, mind and heart in this way, our inner self will remain clean and pure. Let’s struggle really hard now, and the rewards will be very great. Nobody finds grace unless they make the effort. If a farmer doesn’t tend his crops, he won’t see any yield. When our fast is accompanied, reinforced and flanked by prayer, study, vigilance, church attendance, confession, Holy Communion, good works- especially almsgiving- then the beauty of the preparation of the soul for the reception of Great Week is complete. Then we’ll experience the Holy and Sacred Passion of Christ more intensely, because our heart will soften, it’ll alter and it’ll realize how great God’s love for humankind is. Then, within us, we’ll experience very forcibly the Holy Resurrection, we’ll celebrate it in a way befitting to God and we’ll celebrate Holy Pascha together with the angels. Amen.